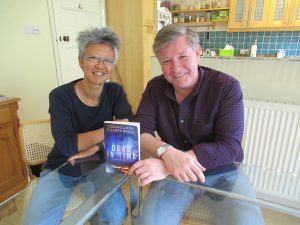 Novelist Terence Bailey joins Yang-May Ooi on Creative Conversations to chat about his paranormal thriller Dead in Time and how he uses his own experiences in his fiction. Watch/ listen to the enhanced audio podcast of their conversation below. This podcast is part of an audio podcast series Creative Conversations which is available on iTunes. Creative Conversations is the Tiger Spirit podcast exploring – and celebrating – the creative process in the arts, life and business, conceived and presented by author and creative actionista, Yang-May Ooi.